Agriculture has been a part of my life since I can remember. Day-to-day: I enjoy working outdoors and being a part of my family’s livelihood. My weekly day-to-day jobs are milking our dairy herd of 60 goats twice a day and shepherding our 350 sheep, mainly consisting of Rough Fells, Pure Texels and a small number of Teeswaters. We chose these breeds mainly for their hardiness and for them to help farm the land holistically rather than us doing so. Career: I left school wanting a career in agriculture but not knowing which path to take. I pursued an apprenticeship course in agriculture at Newton Rigg College and I am still there completing Level 3 and preparing for another two years in Level 4. When I had an accident on the farm a couple of years ago it made me realise I did not have the physical strength to be a typical farm worker, however I made sure this did not put me down. This was when I started my own business selling goat meat with the help of the Princes Trust, securing myself a business loan which helped me get my business off the ground. I purchased all the main equipment I needed to fulfil and begin my business adventure using the loan. For a young lass the age of 19, I feel proud that I have come this far with my business plan in such a short space of time. There is still a long way to go and improvements to be made but it is all about learning as you go along. 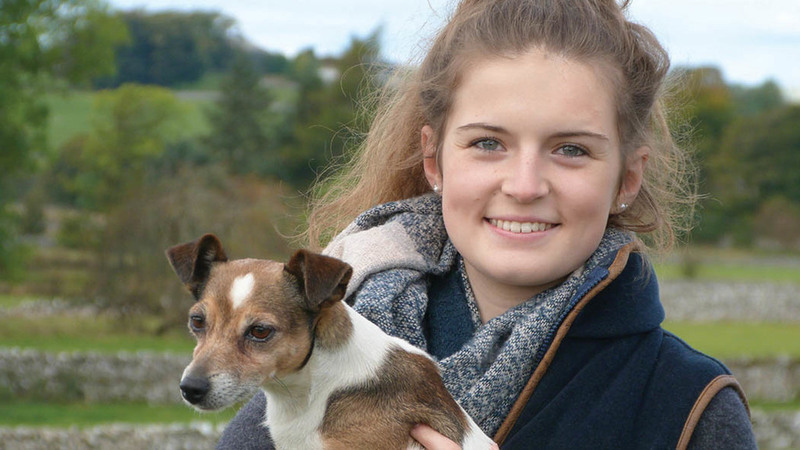 Young farmers: I am a passionate member of Pennine Young Farmers Club and since joining about four years ago, it has given me a wealth of confidence in myself through entering competitions and taking on a role within the club. Being a young person in the agricultural industry is not an easy task to undertake, as upland farming such as ours is having to make life-changing decisions in terms of diversification to remain sustainable. I believe diversification is the key to moving forward and make an impact for the future. With the impact of Brexit looming the younger generation of farmers will have to adapt to changes like we have never seen before in our lifetime in agriculture. The future of British agriculture is in the hands of the younger generation. We need encouragement, support and training from a wide variety of services essential to farming to carry on a sustainable business. Georgia Hunter, 19, works on the family dairy goat farm based in the Westmorland Dales National Park. She is also a member of Pennine Young Farmers Club.